German police have detained a Porsche manager in a probe into the diesel emissions cheating scandal that the luxury car brand's parent company Volkswagen has struggled to shed. Porsche chief Oliver "Blume informed the workforce that the prosecutor of Stuttgart has taken a manager into custody", a spokesman for Porsche told AFP on Friday. Porsche did not name the suspect, but Germany's top-selling newspaper Bild and economic weekly Wirtschaftswoche reported that the man held is Joerg Kerner, an engineer in charge of Porsche's engine division and who was working at Audi when the diesel scandal broke in 2015. He turned around and raced home but his sudden change in destination made investigators think he was attempting to flee, thereby prompting them to take him into custody, Bild reported without citing its sources. Confirmation of the arrest came two days after German police raided offices of Porsche and Audi as part of a fraud probe against three individuals—two top Porsche executives and a former employee of the luxury carmaker. 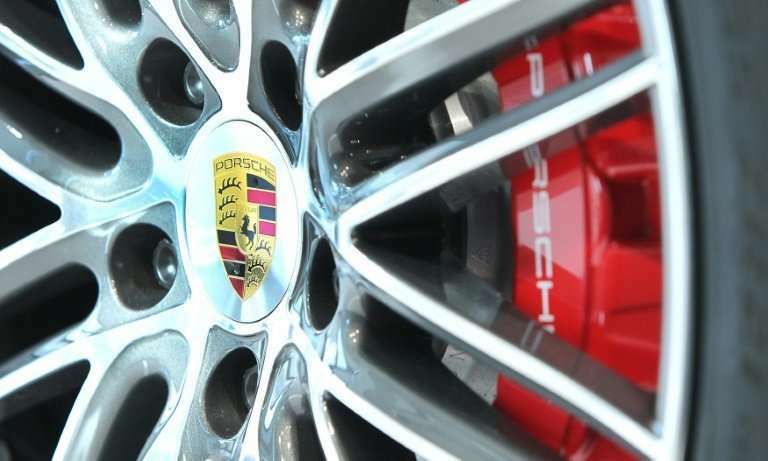 The raids were the first time Porsche's offices have been targeted over the diesel cheating controversy, while Audi has already been searched three times over the past year, most recently in February. Porsche's latest woes came a week after the Volkswagen group replaced its CEO—former Porsche boss Matthias Mueller—in a new bid to turn the page on the "dieselgate" scandal. Last Friday, Mueller was replaced as CEO by VW brand chief Herbert Diess, who has vowed to steer the company out of the crisis by pushing on with much-needed reforms and continue a shift towards electric cars and sustainable mobility. BMW recalled some 12,000 cars in February after admitting they contained software that allowed the engines to release more harmful emissions on the road than in the lab—but insisted the software was installed by mistake. 'bout damn time. They should shut Porsche, BMW, VW and Daimler down until all the cars they've been selling under false promises have been retrofitted to conform to regulations. It's like handing out speeding tickets at the Indy 500. Throw rocks when you've got other houses in order. Houses in your own back yard. Houses with considerably more blood on their hands. Attacking the Porsche group as if the rest of the world is built out of flowers and innocent sunny days at the park, is built out of well... who knows what. But projections, willful ignorance, and probably bias, are definitely on the list. If you are going to make a fist, punch something that matters and actually fixes the true underlying origin of problems, not things of fluff or things 2-3-4-5 steps removed from the greater issues. Well you have to start somewhere...letting all these industries get a free pass just because "look over there - they're doing it too and maybe even worse" won't get us anywhere. I keep hearing similar arguments about crazy information control laws getting a pass beause "China/Russia/etc. are doing much worse"
...what kind of argument is that supposed to be? Letting a thief run because murderers exist? When did "we need to compare ourselves to the worst possible people out there" become our standards? Justice is moving slowly in Germany, but I'm getting optimistic that it will eventually get done. The American case has moved faster, but it is badly hampered by German extradition laws and by the fact that the evidence is mostly in Europe. If all the perpetrators are to be punished, most of the work will have to be by done German and EU officials.